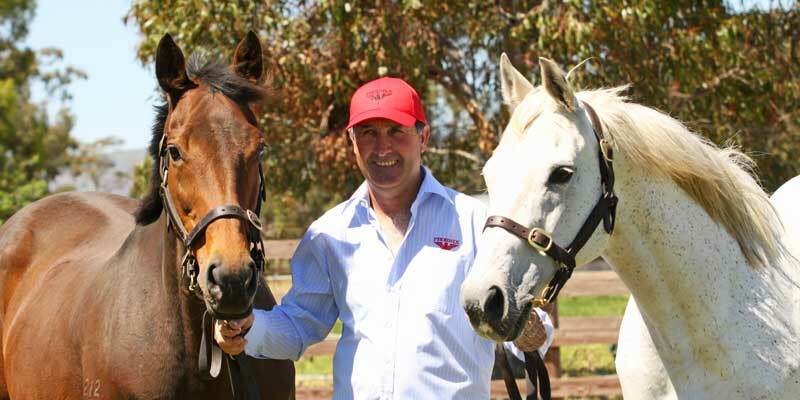 As Damian's prime responsibility is the wellbeing of mares and foals in his care he spends the majority of his working hours amongst the horses. As such it is recommended to contact Damian via his mobile (0427 960 502) for a more immediate response rather than via email. 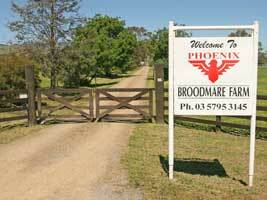 Phoenix Broodmare Farm is located 10 km's north of Euroa and 32 km's south of Benalla just off the Hume Hwy on the Balmuttum Church Rd. Entry is off the east exit of the Hume Hwy at Giffin Rd, which when coming from the south is 8 km's past the second Euroa exit and when coming from the north it is 8.5 km's after Violet Town. 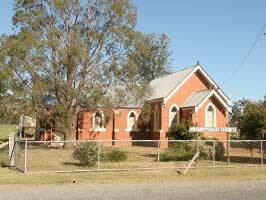 Once on Griffin Road turn right within 20 metres onto Balmuttum Church Rd and drive 600 metres to Phoenix Broodmare Farm which will be on you left immediately past the Presbyterian Church. Click on 'View Larger Map' below for a more precise view. 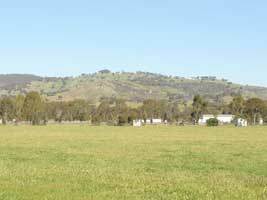 Postal: Phoenix Broodmare Farm, RMB 3130 Euroa, Victoria 3666.
the majority of which are within an hours drive of Phoenix Broodmare Farm.